We provide specialised cleaning solutions for hard floors, including terrazzo tile and grout surfaces. Terrazzo floor tiles are made up of marble and cement mixed together. When the tiles are installed, extra marble chips are sprinkled on the tiles' surface, leaving at least 70 percent of the terrazzo floor surface made of marble. Care must be taken when cleaning terrazzo tiles so you don't damage the marble surface. Terrazzo floors are a beautiful choice for flooring and can retain the original beauty for a very long time when cared for properly. TileCleaners can help you maintain your Terrazzo floors and keep them looking beautiful for longer. Terrazzo has always been dependent on being one of the most durable floor surfaces in the floor tile industry. Terrazzo is usually a poured surface; however, it is now available as a precut floor tile. It is mainly used for commercial applications and it is available in many colors. 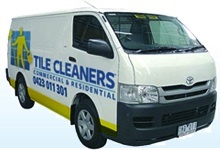 TileCleaners uses only top quality terrazzo cleaners, terrazzo sealers, and terrazzo polishes.